The Sixteenth Gyalwa Karmapa, Rangjung Rikpé Dorjé, was born in the kingdom of Dé-gé, in eastern Tibet, in 1923, as the son of a noble family called A-toop. Having received predictions that she would bear a great bodhisattva son, his mother had gone to stay in a holy cave, once used by Guru Rinpoche, where she waited to give birth. It is said that, at one point at the very end of the pregnancy, the future Karmapa disappeared entirely from his mother's womb for a whole day. He was to do many such things in his life which would confound materialists and doctors, as witnessed by the physicians in the Zion, Illinois hospital, where he eventually died. The day of his birth, his mother returned to normal pregnancy size and soon gave birth to him. Those present heard him say to his mother that he would be leaving. Water in offering bowls there turned to milk. Realising that she had indeed given birth to a great bodhisattva, she pretended to have had a daughter, to protect the child through secrecy. The Eleventh Tai Situpa, one of the most eminent lamas of the Kagyu tradition, soon recognised the A-toop child as being the new Gyalwa Karmapa and sought confirmation from HH the Dalai Lama. 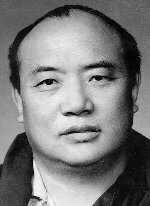 The details of the birth coincided properly with those of a prediction letter entrusted by the Fifteenth Karmapa to his attendant. Meanwhile, the child received his first ordination and bodhisattva vows from the Tai Situpa and from Palpung Kongtrul Rinpoche: his predecessor's two foremost disciples. Eventually, the Dalai Lama gave his aknowledgement. The boy was eight years old and still residing in the Dé-gé kingdom, when he received the Vajra Crown and ceremonial robes of the Karmapa, brought to him from Tsurphu. He visited Palpung monastery, stopping to bless the famous De-ge monastic printing works on the way, and was enthroned there, as the Sixteenth Karmapa, Rangjung Rikp� Dorj�, by Palpung's chief abbot, the Tai Situpa, who shortly afterwards accompanied him on the long journey to the seat of the Karmapas at Tsurphu, in central Tibet, where the new incarnation was greeted by Gyaltsab Rinpoche, Palpung Kongtrul and Pawo Rinpoche. Tsurphu is close to Lhasa. Soon after his arrival, the Karmapa was received by the Thirteenth Dalai Lama, who performed the "hair-cutting" ceremony. While so doing, the Dalai Lama had a vision of the celestial bodhisattva crown on the Karmapa's head. After this ceremony, the Karmapa was given a second enthronement, at Tsurphu, by the Tai Situpa and the Head of the Drukpa Kagyu school. He then studied for some years under Gongkar Rinpoche, an extremely erudite scholar who had mastered the entire tripitaka and who recorded several stories of former lifes told to him by the young Karmapa. It was a great loss that these stories remained with him in Tibet at the time of the troubles. He never escaped and the records were lost.